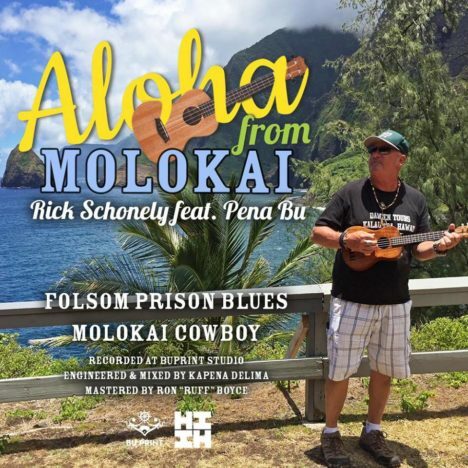 Molokai musician Rick Schonely has recorded his first CD and recently went live on radio and performed a couple shows in Honolulu. Schonely, who retired with the Maui Fire Department, teaches at Molokai High, gives tours in Kalaupapa for the Molokai Mule Ride, is the sports reporter at The Molokai Dispatch, and plays music with several local bands. The Hawaii Craftsmen 2018 Annual Statewide Juried Exhibition is proud to announce its 51st installation, which will be held at the Honolulu Museum of Art School, Main Gallery. The exhibition is free to the public, and opens for viewing from Oct. 25 through Nov. 11. Our juror this year will be Isabella Ellaheh Hughes, Co-Founder and Director of the Honolulu Biennial Foundation. The rhythm of tapping, like a heartbeat, filled Kulana ‘Oiwi Halau last Tuesday night. It was the sound of a traditional tattoo, or uhi, coming to life — in what might have been the first time on Molokai in more than a century. The deaths of two young male Hawaiian monk seals on Molokai in June are being investigated by the National Oceanic and Atmospheric Administration (NOAA). This comes after a young female was killed at Mo’omomi in May, with injuries showing human-inflicted trauma as the cause of her death. The classrooms of Kaunakakai Elementary School on Molokai will be filled with the joy of music during the Hawaii Youth Symphony’s string workshop held at the school on Saturday, June 23 through Sunday, June 24. In partnership with Kaunakakai Elementary School teacher and bassist Bob Underwood, the Hawaii Youth Symphony will teach Molokai students the fundamental techniques of string instruments, general musicianship skills and the opportunity to rehearse as an orchestra. 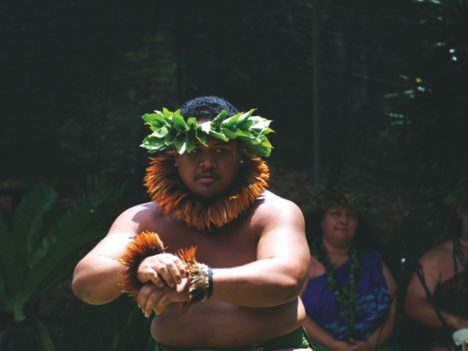 Honoring a tradition thousands of years old, the 27th annual Ka Hula Piko celebrated the birthplace of hula at Ka’ana on Molokai and carrying forward hula’s value into modern times. Halau and music groups from around the state came together last Saturday at Kualapu`u Community Center to honor dance, language and culture with locals and visitors alike. 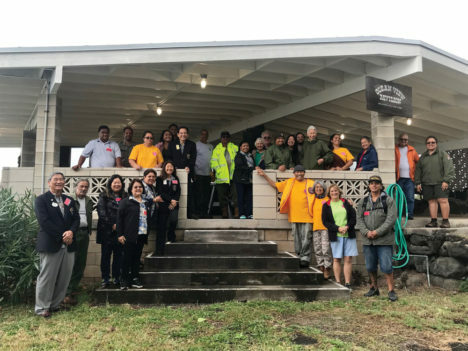 The three-day event included a guided cultural excursion to Ka’ana in Maunaloa where hula began, and a Talk Story session with kumu hula, culminating in Saturday’s Ho’olaulea. 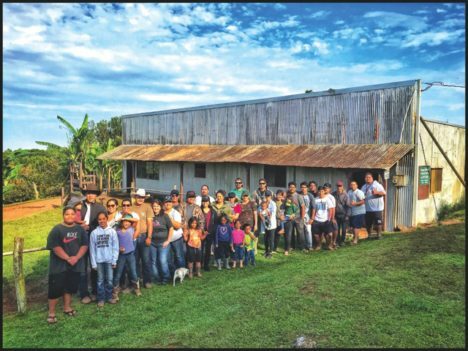 A new agreement between Kamehameha Schools (KS) and Molokai’s Aka`ula School will allow more children to attend Aka`ula through financial assistance provided by KS. 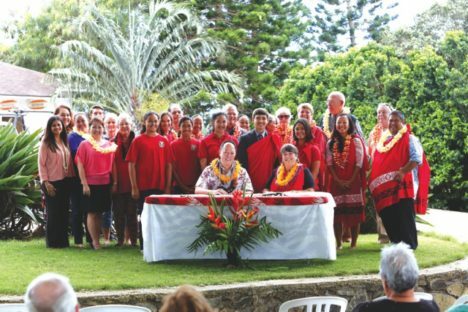 The agreement was signed last week and the scholarship, called Ho`okahi Ka `Ilau (“wield the paddles together”), will offer tuition assistance and other support for Molokai students demonstrating financial need to attend the small, independent school for students in grades five through 12.